For some, a waft of jasmine might evoke sultry, tropical air or a lush garden. For others, it's cat pee. Interested in using her work to examine scent in all of its ambiguous glory, artist and filmmaker Saskia Wilson-Brown (pictured center) set out to learn about everything fragrance. This proved harder than anticipated. "No one would teach me about perfume in a way that felt in-depth," Wilson-Brown says. "I was able to take short workshops here and there, but they never felt thorough." So she took matters into her own nose. Last fall, Wilson-Brown founded the non-profit Institute for Art and Olfaction (IAO) in Los Angeles. 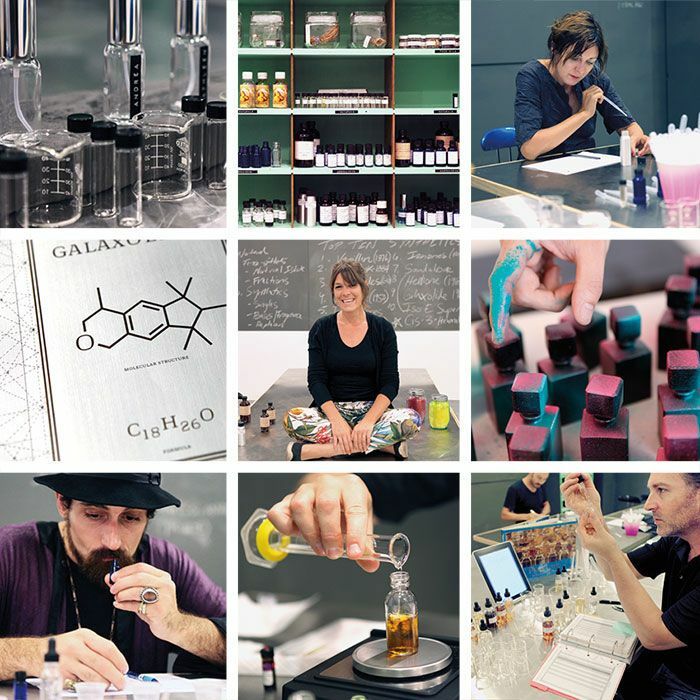 The West Coast's first organization to explore perfume in a larger arts context, IAO offers beginners workshops and "blending bootcamps" for aspiring perfumers, as well as public programming for the more devoted ("Men's Perfumery between 1986 and 1995," anyone?). Earlier this year, the IAO teamed up with filmmaker Mark Harris to create a fragrance that actors wore on amulets around their necks during an immersive screening of his film The Lost Children at the Film Society of Lincoln Center. In May, as part of LA Weekly's Artopia festival, the IAO created perfumed pigments in bursting floral notes for "Scent Bomb Happy Pit," a "mosh pit of color and scent" based on the Hindu festival Holi, in which revelers throw brightly colored powder on each other. Other upcoming projects include a collaboration with L.A.'s Hammer Museum, as well as the launch of a certificate program with the renowned French fragrance institute CinquiÃ¨me Sens. The IAO is, in other words, off to an impressive start, considering its abstract curriculum. (Even the origin of the word "perfume" sounds mysterious -- it's derived from the Latin per fumum, meaning "through smoke.") "[With scent], there's definitely room for interpretation -- both in the language and the visuals," says Wilson-Brown. "That's really fertile ground for fine art. You could do a lot with that."